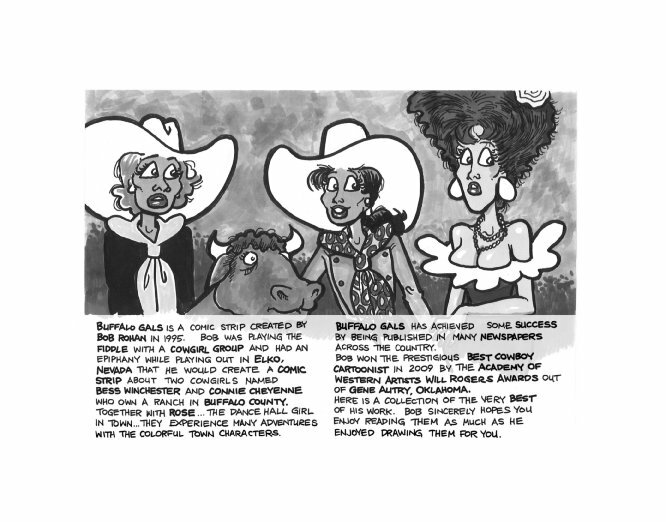 The "Buffalo Gals" comic strip is the adventures of two cowgirls, Bess Winchester and Connie Cheyenne who own and manage a ranch in Buffalo County, Texas. Joining them are other colorful characters from the area including Rose, the dance hall gal, Zelda, the fortune teller, and Phil D. Grave the undertaker and many others. Here is a collection of the best of the feature boasting total of 300 individual comic strips. 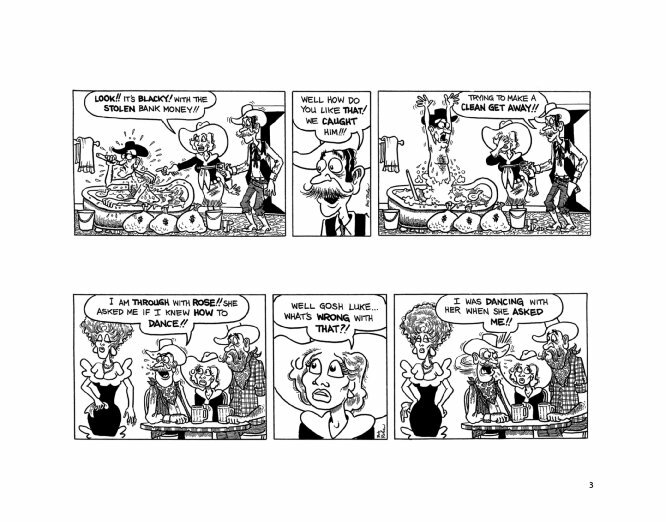 The "Buffalo Gals" comic strip was created in 1995. Since then, the comic feature has been published in many newspapers and magazines. 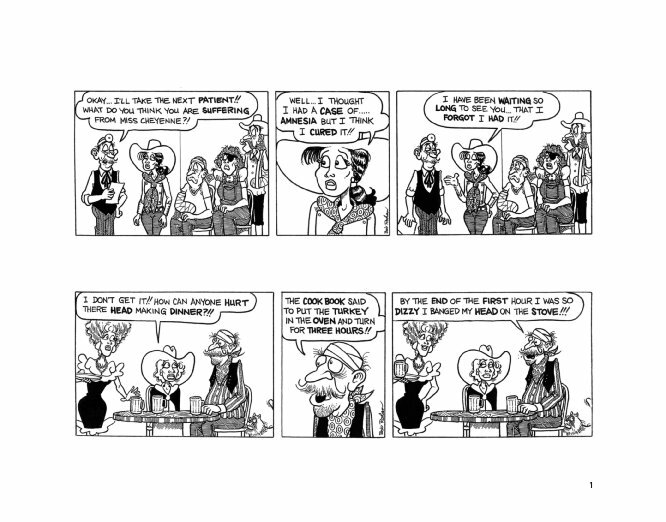 The creation of "Buffalo Gals Volume 1" is a result of many years of drawing the comic feature and it has enjoyed a large readership following. 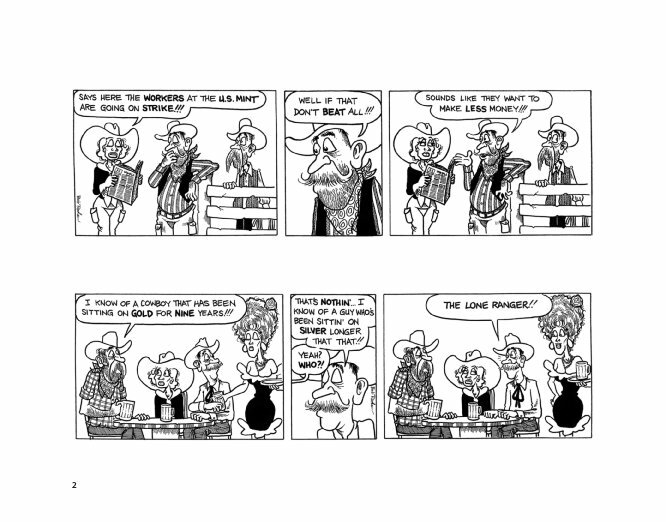 The comic strip stars Bess Winchester and Connie Cheyenne who own and manage a ranch in Buffalo County, Texas. Joining them are many colorful citizens of Buffalo County including Rose the dance hall gal, Jim the sheriff, Bill the prospector, Zelda the fortune teller, along with Phil D. Grave the undertaker and many others. Here is an offering of 300 individual comic strips created to give you a laugh, chuckle or guffaw. Bob Rohan is a cartoonist in Texas that has been drawing all of his life. He is proud to offer this big collection of comic strips created over 20 years. 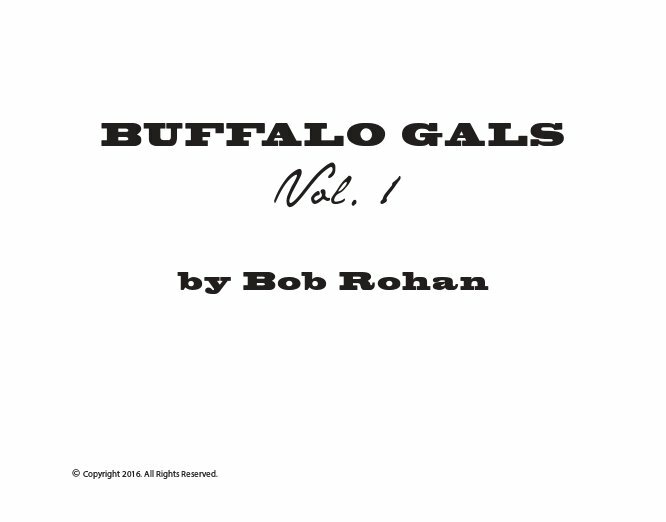 Finally, the first book of "Buffalo Gals Volume 1" is available to readers around the world.